Sam Raimi’s Oz The Great and Powerful is hitting theaters this weekend, but long before the film’s production, the director was attached to direct Spider-Man 4 – which eventually got the reboot treatment directed by Marc Webb – and World of Warcraft – which eventually went to Duncan Jones. During the press rounds for Oz The Great and Powerful, Raimi addressed those projects that got passed on or rebooted. On the subject of Spider-Man 4, Raimi said that he just couldn’t hand in a proper script on time and that he wanted to end his Spider-Man franchise on a high note, especially after the way Spider-Man 3 ended. 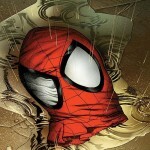 By the way that the relationship between him and Sony wasn’t as heated as some make it out to be, according to Raimi. 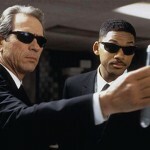 Talks of a Men in Black III have been showing up quite a bit as of late, and the project has been gaining a lot of momentum. Last we heard, the star that could make or break a third flick, Will Smith, was choosing between returning to his alien-chasing suit and shades and a much less-visible family movie called The City That Sailed set up at his production studio. Nothing is official yet and this could change tomorrow, but if you’re to believe franchise director Barry Sonnenfeld, who spoke to Showbiz 411‘s Roger Friedman recently, not only is Smith coming back for this trilogy-maker, but he’s actually already signed on! Sonnenfeld also shared that another huge question mark, Tommy Lee Jones, is ready to come back as well. It didn’t take Sony Pictures long to find a new director to helm their recently decided reboot of the Spider-Man franchise. The studio has hired relatively unknown Marc Webb to take on the new high-profile, high-risk, high-reward project after the realization that we had seen the best we could have seen from the former cast and crew. The script is written by James Vanderbilt, who Sony had writing multiple sequels. Webb recently received critical praise for his work on the indie film (500) Days of Summer, which starred Joseph Gordon-Levitt and Zooey Deschanel. Aside from that movie, Webb has only really done a couple of music videos for Green Day and 3 Doors Down. This makes him a bold choice for director, and it puts him in a massive position that could very easily make or break his entire career. No pressure there. And speaking of Gordon-Levitt, he seems to be the majority fan-favorite for the role of Peter Parker. The hiring of Webb makes this prospect a lot more of a legitimate possibility. Continue reading for more and to read a full press release from Sony. As news spilled out recently that Spider-Man 4 was on an indefinite vacation, something of a panic seemed to arise from those who worried the movie was already destined for disaster. As far as we knew, it was just some script problems and issues choosing the right villain (a choice that could immediately make or break the movie for some fans), but something about the whole thing felt damaging. While everyone else was running around trying to figure out what this means for Spidey, the star of the franchise isn’t worried one little bit. Tobey Maguire recently took part in a little web cam chit-chat with The Envelope, where he assured everyone that not only is this all just how things go with movies of this size, but that there’s actually a lot going very right as well. 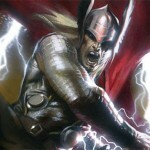 ‘Spider-Man 4’ Moves Out, ‘Thor’ & ‘Pirates Of The Caribbean 4’ Move In! 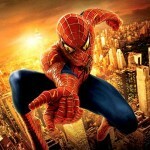 It has been just a few days since we officially learned that some major issues were happening within the production of Spider-Man 4 (which they’re apparently presenting as SPIDER-M4N; this needs to be stopped immediately), and that the movie would be on hold indefinitely until script and character differences were fixed. Well, it didn’t take long for other gigantic Summer 2011 titles to swarm the vacated premium real estate: Box Office Mojo has made the changes that reveal that the other Marvel powerhouse in Kenneth Branagh‘s Thor has moved up from May 20, 2011 to Spidey 4‘s empty May 6, 2011 spot. At the very same time, the fourth film in another gold mine franchise, Pirates of the Caribbean: On Stranger Tides, swooped into the now-open May 20 spot left by Thor. At the the time of the latter move, Pirates 4 had yet to settle into a specific date, having only declared a Summer 2011 release. The move for Thor is not a huge one, but this will likely make it the first biggie of the Summer season, and if a leaked X-Men Origins: Wolverine can make $85 Million as an opener, then Thor should set the bar in hard to reach places. Along with with the addition of Pirates of the Caribbean 4, May just may just already be the biggest month of 2011. It took a while for everyone to get over whatever Spider-Man 3 was, but since we were informed that Spider-Man 4 was on the way with director Sam Raimi and stars Tobey Maguire, Kirsten Dunst, and others set to return, all has seemed to move quite smoothly. In fact, things were moving so smoothly that plans for fifth and six installments were already getting set up. The only delay that seemed to be causing problems was the choosing of a villain for the fourth film and the hiring of multiple new writers, but with an official release date of May 5, 2011 announced, there was nothing to worry about…right? Apparently not, as it was first reported in December by IESB that Sony has actually changed the popular comic book movie’s status from on “holiday hiatus” to the much more disheartening “indefinite hold.” The trades have since confirmed this to be true even after it was initially denied by studio representatives. The reason for the sudden halt? Reportedly, not only can’t Raimi and the studio agree on a proper villain lineup, but Raimi is also incredibly unhappy with how the script(s) are shaping up. It looks like this move is probably the smartest thing to do, as it will allow everyone to step back for a moment and gather themselves before figuring out the next best move for all involved. 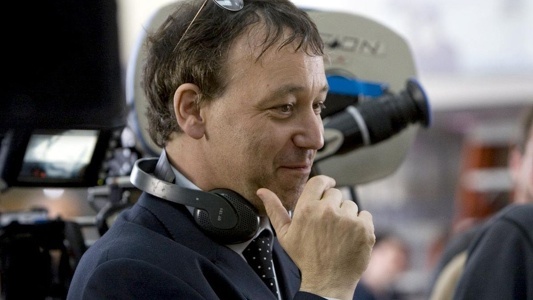 ‘Spider-Man 4’ Director Sam Raimi Talks Villains; Still Possible For ‘Spidey’ 5 & 6? Sam Raimi has been talking a lot of Spider-Man 4 with MTV lately. Recently, they discussed the topic everyone wants to know about: villains. As it has always been, there is still no idea who the villain will be, but it appears that they are leaning toward a few prospects. Raimi was also asked by MTV what the chances are that he would return to do Spider-Man 5 and Spider-Man 6, which are both being written by James Vanderbilt at the moment. When asked about who may be in the mix for the villains, Raimi simply replied “I’m not allowed to say at this point,” which could mean anything, really. We all know that the most expected one would be the Lizard, which they’ve set up throughout the franchise, but there’s numerous other faces it could be — both liked and not-so-liked by fans. Some seem to think the best route would be for Carnage to be the villain, and have that carry over to the Venom spinoff movie that’s planned, but considering Venom is supposed to be a clean slate spinoff, it’d be much better if Carnage was saved for that project alone. Back in July, it was announced that Sam Raimi would be directing the long-rumored movie adaptation of MMO powerhouse, World of Warcraft. This along with Spider-Man 4 presented two gigantic and time-consuming projects for the Evil Dead and Drag Me To Hell director, and it is still uncertain which will be coming first. 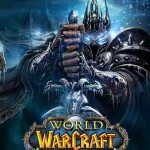 It was first assumed that the WoW movie would be based on a spinoff novel that was written within the game’s world called Arthas: Rise of the Lich King, but it is now confirmed via an interview with MTV that the movie will be an original story set in the world and involving its characters. It was also confirmed that the movie is being written by Saving Private Ryan scripter Robert Rodat and that it will likely be simply titled Warcraft. Turning a game like Warcraft into a movie is probably about as difficult as it could be to turn a game into a movie. Being an MMO, there is a story, but the game is never-ending and the story isn’t the selling point, so you have to pick and choose what you want to use and construct a story out of these countless elements, settings, and characters. The challenge becomes even greater knowing the track record of video game based movies, as we all are well-aware of, so the mountain for Raimi is large. Click over to read what Raimi had to say. The whispers around town indicate that Spider-Man 4 writer Gary Ross is currently in discussions with Sony to write, and maybe even direct their planned spin-off movie, Venom. The movie has already had multiple drafts written, including one from Zombieland writing team Rhett Reese and Paul Wernick. 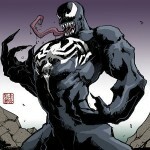 Ross plans to finish up his scrip for Spidey 4 and then move right into the Venom project. All indications so far is that all things we’ve seen from the character will be thrown away, and that this movie will start all over again — including re-casting the role once filled by Topher Grace in the forgettable Spider-Man 3.